Santa Cruz police are asking for help Saturday searching for a missing child and her mother who allegedly has no custodial rights to the girl. Ember Perryman is 2 years old and she and her mother Heather Lara have not been seen or heard from since Friday morning when they walked away from Friendship Garden in Harvey West Park. Ember's father has full and sole custody of the girl, police said. Ember was wearing a light-colored pajama top and white pajama bottoms with hearts on the legs. Santa Cruz police and city Rangers have been searching for the two in Harvey West Park and Pogonip, a scenic open space near the University of California at Santa Cruz. Lara is familiar with camping in the area. Police said Lara also mentioned to acquaintances that she is interested in moving to Mexico. Ember is described as 2 feet 5 inches tall, 30 pounds with brown curly hair and brown eyes. Lara is described as 5 feet 5 inches tall, 160 pounds with blonde hair and blue eyes. She was last seen wearing a long, green, flowered dress and flip-flops. Police said she left the garden on foot and was pushing Ember in a stroller. Lara does not have a car or cellphone. Police said Lara may be headed to Los Angeles, Mexico or Idaho with the child. Police are asking residents and visitors to report any possible sightings because they are crucial to finding the child as soon as possible. 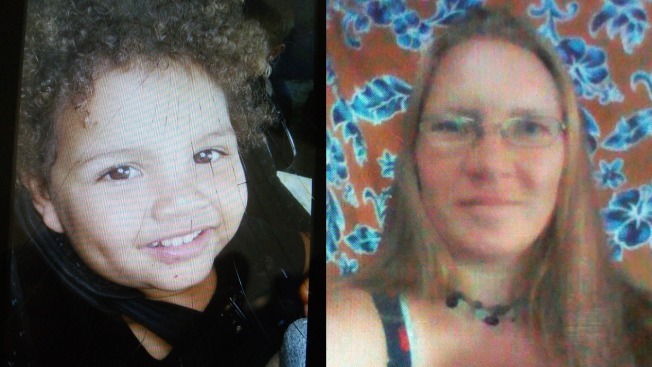 Anyone with information regarding the whereabouts of Ember and her mother are asked to call 911, the Santa Cruz Police Department at (831) 420-5820 or the anonymous tip line at (831) 420-5995.